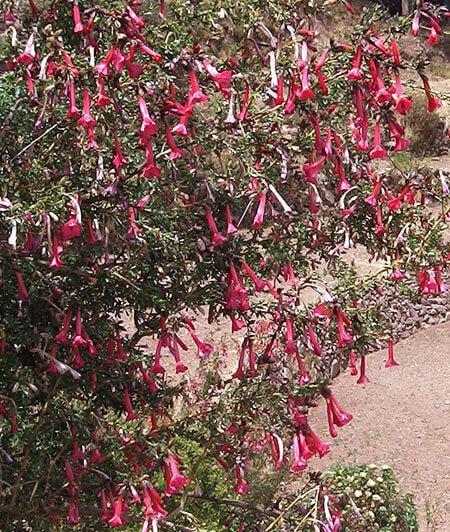 The natural environment of this shrub are the mountains of Peru and Bolivia. It is Peru's national floral emblem. Cantua is a large rounded shrub with drooping heads of large tubular shaped cerise flowers. It flowers in late spring, summer and autumn. Great for attracting 'honey eaters'.